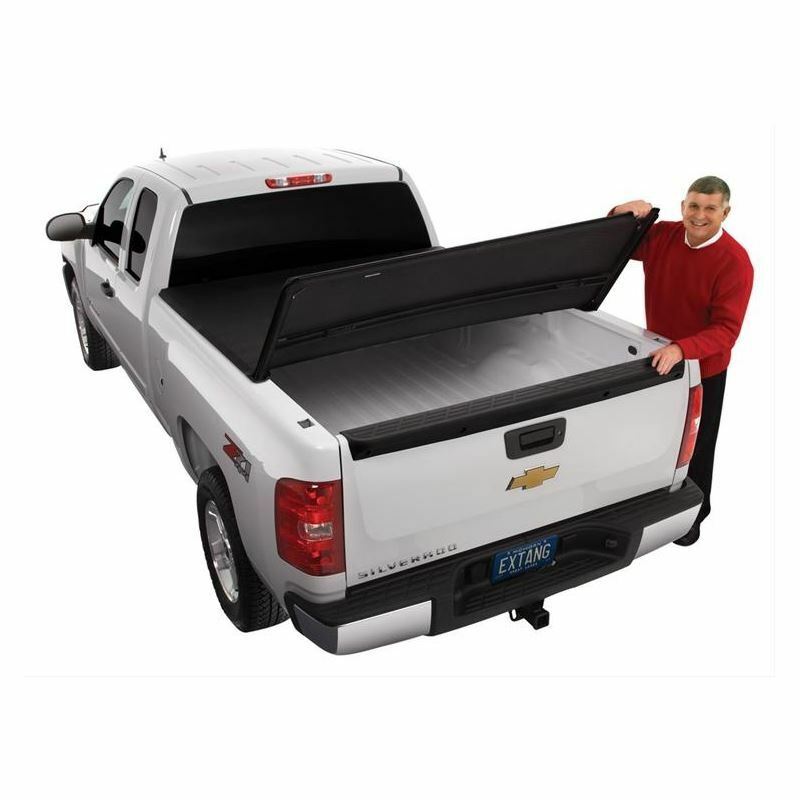 These new Extang Trifecta tonneau covers feature all of the benefits of folding bed covers, with all of the quality that you've come to expect from Extang. These tri-folding Trifecta tonneau covers are the only soft tonneau covers still available that can be driven partially open in three different positions with no damage to the covers. These Extang Trifecta tonneau covers come completely assembled with no loose parts to keep track of. They feature premium-sewn quality vinyl with anti-curl corners, double-layered vinyl, and heavy-duty locking straps. Extang SpeedKlamps, the fast, new clamping systems, stow away within the rails when the top is open by using quick over center, adjustable, snap-locking CAM lever action.